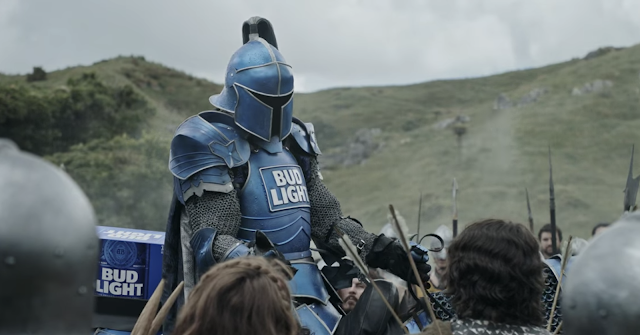 The second and third installments of Bud Light’s “Dilly Dilly” Super Bowl trilogy has arrived with two new spots titled "Ye Old Pep Talk" and "The Bud Knight"
The third and final 60-second Dilly Dilly spot then picks up with the epic battle already underway. And it introduces a knight that literally has a shining armor — aka the Bud Knight. Does he save the day? Does he get his Bud Light? Well, all we can say is watch to find out and, of course, "Dilly Dilly!"